bloggers Archives - KB Concepts P.R. When it comes to social media, there are some unwritten codes that the social savvy follow. These include: Don’t post multiple Instagrams in one day; never like a post that is more than two weeks old; and the one that can get people in the most trouble: ratio is everything. The ratio refers to how many followers you have versus how many people you follow. If you have more followers than you follow, congratulations – by some measures, you’ve really made it! Self-satisfaction aside, a healthy follower ratio is a good indicator of an authentic social media presence. Often however, people want so much to appear successful and influential that they actually pay to gain followers. 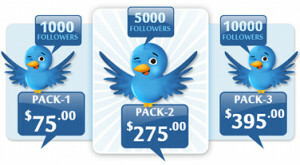 Companies that provide these phony followers are proliferating like crazy – for as little as $50 to $100 you can buy 1,000 new followers; spend more and get up to 100,000 or more. BUYER BEWARE. These kinds of followers are hollow. Yes, your Instagram profile may show an impressive “12k” above the word “followers” but if anyone were to dig a little deeper, they’d be sure to uncover the sad truth that most of these follower accounts are fake, and therefore of no value. How can you tell? The account holder is often marked “private,” has none or very few posts, has very few followers and follows a huge amount of people. Their “ratio” is all wrong. Local DC influential lifestyle blogger Angelica Talan is a perfect example of someone who has a truly authentic web presence. Her Clarendon Moms blog receives some 88,000 views per month; her Instagram account holds just over 1,000 followers, while she follows 987. 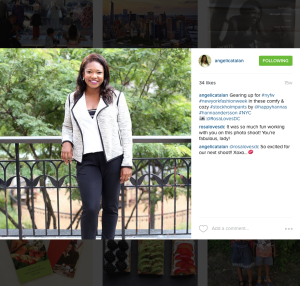 Each of her posts gets about 20 – 50 likes, which might not appear impressive, but her followers truly engage with Angelica and closely follow her fashion and lifestyle choices. One recent example: Retailer Hanna Andersson asked Angelica to post a picture wearing a pair of their pants. Her Instagram photo got 34 likes, but the dedicated link the company provided showed a whopping 88 pairs of pants sold thanks to Angelica’s post. Now that’s influence! On the opposite end of the spectrum is another “influential” fashion blogger who shall remain nameless. This blogger was approached by a high-end fashion house—impressed by her 10,000+ Instagram followers—to host an event at their store during Fall Fashion Week and promote it via her social media accounts. Despite her many evites and posts, the day of the event hardly anyone had RSVP’d. Her frantic last-minute efforts to round up friends and others to attend were unsuccessful, and this blogger’s phony numbers were exposed. She was blackballed from the rest of the week’s events, and her work as a fashion influencer came to an abrupt and humiliating halt. The moral of this story: it is far more important to have followers who really pay attention to what you have say than thousands of fake followers that make you look good superficially. Having an authentic online presence, in which your followers admire, share and engage with you, allows your client businesses and individuals to truly influence the public, and to do so with integrity. Conversely, not only does paying for followers not help your brand in any meaningful way, if you get caught, the fallout can be catastrophic. So whether you’re new to the social media game or a seasoned vet, don’t succumb to the siren song of paid followers. Be yourself, work steadily to build your brand with authenticity and integrity, and you will be far more influential, respected and successful. Happy new year!